Radon is considered to be the second leading cause of lung cancer the U.S. Radon is a gaseous radioactive element that occurs from the natural breakdown of uranium in rocks and soil. It is colorless, odorless and tasteless. Radon becomes and risk indoors because as it continues to break down, it emits atomic particles that upon entering the lungs can alter DNA and increase lung cancer risk. Radon can be tested and measured in in pCi/L (picocuries per liter) and there are estimated risks to health from the exposure depending on the concentration. Missouri Department of Health and Senior Services (MO DHSS) and Environmental Protection Agency (EPA) recommend that if the concentration of radon is 4 pCi/L or greater, then remediation should be done to lower risk. MO DHSS is currently offering free radon kits for citizens by clicking on the Free Radon Test Kit link to the bottom and filling out the form. For additional information follow the link to the Citizens Guide to Radon. 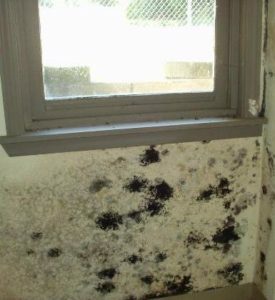 Mold is found both indoors and outdoors and is present everywhere – in the air and on surfaces. Mold can enter your home through open doorways, windows, vents, heating and air conditioning systems etc. Mold will then grow in places with a lot of moisture, such as around leaks in roofs, windows, or pipes, or where there has been flooding. Mold grows well on paper products, cardboard, ceiling tiles, and wood products. Mold can also grow in paints, wallpaper, insulation, drywall, carpet, fabric, and upholstery. Exposure to damp and moldy environments may cause a variety of health effects or none at all depending on a person’s sensitivity. For those who are sensitive, molds can cause nasal stuffiness, throat irritations, coughing or wheezing, eye and in some cases skin irritation. People with mold allergies may have more serious reactions. For more information on mold and how to clean surfaces with mold click on the Mold Guide link to the bottom. The exposure level of carbon monoxide influences the symptoms, recovery and damage done to an individual. Mental abilities can be impaired and permanent brain damage can occur. Emergency treatment for an individual exposed to carbon monoxide includes moving the exposed individual to an area with fresh air, calling 911 or the appropriate emergency services number and ventilating the affected area. If the individual has stopped breathing, artificial breathing, such as CPR, should be initiated. 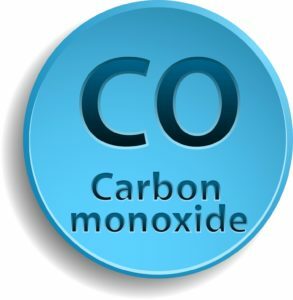 Knowledge is the first step to preventing carbon monoxide poisoning. Carbon monoxide can be detected in the home by installing carbon monoxide alarms. Further information on Carbon Monoxide can be found by clicking the Carbon Monoxide Poisoning link at the bottom.